A Writing Service with No Revision Policy? No Thank-You! It is the policy of TrustEssays.com to provide exceptional academic writing of any type to any student in need. In order to accomplish this, we employ learned, degreed, professional researchers, writers and editors, from virtually every academic area of study and of all academic levels. We are thus able to match a client need with the best professional for the job – a matching that results in an exemplary piece of writing, according to individual needs. In order to accommodate each client’s needs, we present to the client an order form that must be completed accurately and must include every requirement for the work that is to be produced. When the client provides accurate and detailed instructions, the writer is able to complete the project correctly. As an additional safeguard, and in an effort to be as transparent as possible, we set up a communication system between client and writer and between client and customer service personnel, so that any questions, issues, or clarifying information may be passed in a timely manner. This type of communication further ensures that the client ultimately obtains exactly what s/he has ordered. It is also the policy of TrustEssays.com to provide and/or offer revisions to completed works, as requested by the customer. The end goal, as always, is customer satisfaction, and we will work on any project until full satisfaction is achieved. A request for revision must be submitted, in writing, to the Customer Support Department within 7 days of client receipt of the finished work. This gives the client ample time to review the work, to determine if all instructions have been followed, and to be satisfied with the piece. (Note: If the delivered work is lengthy and complex, such as a Master’s thesis or a dissertation, the client should contact the Customer Support Department for a modification of the 7-day requirement). If we do not hear from a customer within the 7-day period, we assume that the customer is satisfied. 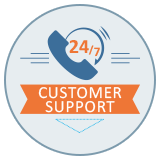 If a customer requests revision after the 7-day period, s/he should speak directly with a Customer Support staff member, in order to determine the process for making a request and any additional cost that may apply. Each revision request will result in a new deadline date, so that the writer has enough time to complete the project. The revisions do not represent an alteration of the initial instructions provided to the writer by the customer. The client has discovered any section that is plagiarized (this has never occurred, because we scan all finished product for plagiarism before it is delivered to a customer). Free revisions are unlimited, in that, the client may request more than one, should s/he remain unhappy with the first revision outcome. The same guidelines for free revisions, however, still apply. The client has the right to request a different writer, is s/he believes it would provide a more satisfactory result. We will do whatever we can to secure a replacement writer, and, if we are unable to do so, will notify the client as quickly as possible to discuss other options. There are a number of circumstances under which the request for revision will entail additional cost, although we do everything possible to keep these prices down. The following situations will, however, entail some additional cost. The actual amount shall depend upon the amount of work anticipated to complete the revision to client satisfaction. If a client communicates additional instructions or changes to existing instructions, and the writer has already begun work on the project, there will be an additional charge. If a client has submitted a work to an instructor, and the instructor requests changes or additions (e.g., number of pages, additional resources, etc. ), then the writer must complete additional new work. The Customer Support Department, in conversation with the writer, shall determine the additional cost for these revisions. If the client has provided inaccurate or incomplete instructions and then realizes his/her mistake, s/he must notify the Customer Support Department within 2 hours of paying for the order. Chances are the writer will be able to incorporate the new information; however, if the order has an urgent deadline and the writer has already begun in earnest, an additional charge may apply, and the finished product will not be delivered until additional payment has been made. The client has the right to designate specific resource materials to be used in the completion of a work. If such resources are not readily available online, the client is responsible for providing those source materials. If no resource materials are designated, the writer will locate and use those resources which are the best match for the assignment and academic level of the client. If, at a later time, the client submits resource materials to be used, there will be an additional charge, because the writer has already begun the research/writing process. If, after a product is delivered, a revision request is submitted asking for different or additional resource materials, there will be a higher cost, for the writer must begin research all over again. If revision requests include additional resource materials, and if these materials are not readily available, the client must provide them. If the company has to procure the materials at a cost, then that cost will be passed on to the client, along with the actual cost of revision. If additional pages and additional resources are a part of the revision request, the client may be instructed to complete a new order form, give specific instructions, and upload the originally completed work. If the client revision request includes a request for a new writer, and if the revisions are substantial, then the client will have to complete an order form, again uploading the original piece for the new writer to review and revise. The request must be made within the 7-day deadline. The client may contact the Customer Support Department by telephone or live chat, but, in the end, the request must be made in writing. A discussion with Customer Support may be helpful, however, in order to determine if there will be additional cost, the actual price amount, and if a new order form should be completed. This may save time in the long run. A new deadline will be determined. The client must upload any pertinent documents, to include the original work and any additional resources that must be used. Client must make payment (if required) prior to the commencement of work. If no payment is required, work shall begin immediately. Client is responsible for regularly checking his/her email and personal account page on our site during the revision process. The writer may have questions! Failure to respond quickly can result in delays and/or a missed deadline. As stated above, our goal is your satisfaction. Satisfied customers return to us and refer others to us as well. Please know that we will do our best to deliver to you exactly what you want the first time. When revisions are requested, we are happy to complete them quickly and exactly as instructed by our customers. Whenever possible, and as long as the revision request fits within the parameters of these guidelines, we will complete the request at no additional charge. When a charge is required, we do everything we can to keep costs as low as possible. Please feel free to contact us and discuss your revision needs and pricing. We are responsible for client understanding of our policies and procedures relative to revisions. If any of the information provided here is unclear to you, please contact us with your questions. Your most important “takeaway” from this document is the pressing need for you to be extremely careful in completing your order form. The majority of revision requests we receive relate to incomplete or inaccurate initial instructions and specifications. If you give us comprehensive instructions, no matter how unimportant a detail may be to you, we have the ability to produce and deliver exactly what you want the first time. This saves you both money and stress! We also want to remind you that we never close, not even on holidays. You can reach us day or night, and we will do everything to accommodate your writing and revision needs.